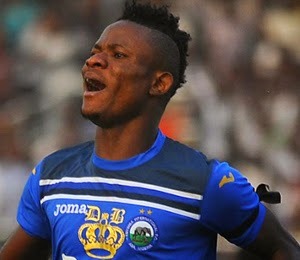 Enyimba star Kingsley Sokari has joined up with the Flying Eagles squad in Kaduna, but will undergo a scan to determine the extent of his hamstring injury. According to the team’s media officer Sam Audu, Sokari pulled out of the jogging exercise at Monday’s training and the Flying Eagles now hope to ascertain the severity of the hamstring injury the midfielder suffered in the final of the Federation Cup against Dolphins last month. Otherwise, Sokari has said he has been warmly received by the Nigeria U20s and he wants to fight for his place in the team. “I have been very well received by the officials and fellow players and I know I now have to justify my call-up,” said the young midfielder, whose eventful season was crowned with Enyimba retaining the Federation Cup. Meanwhile, hundreds of young players have continued to troop to the Ahmadu Bello Stadium in Kaduna with the hope of impressing the Flying Eagles coaches led by Manu Garba. The screening exercise involves training twice a day and officials have hinted that soon the team will begin test matches for the selected players.